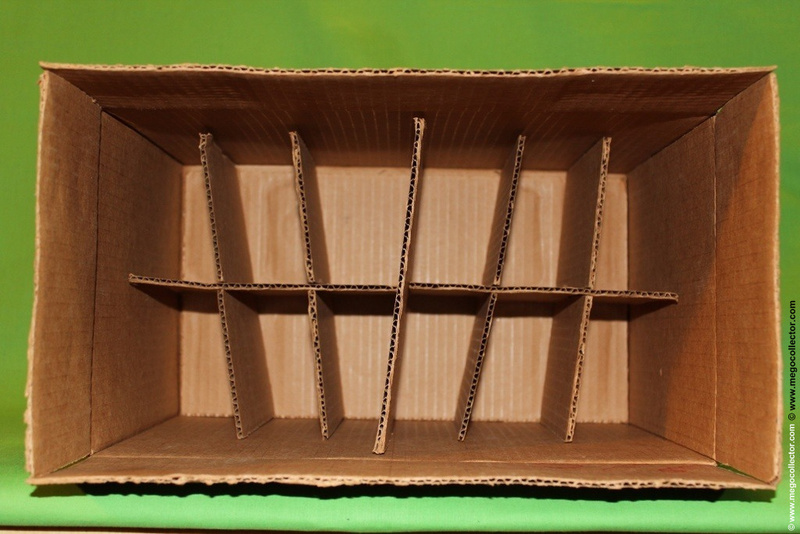 Not much more can be written to this as not much can be found. 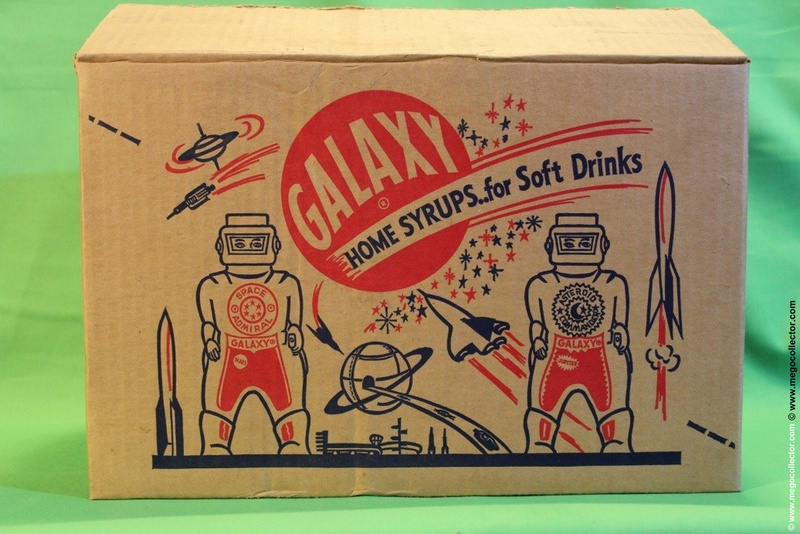 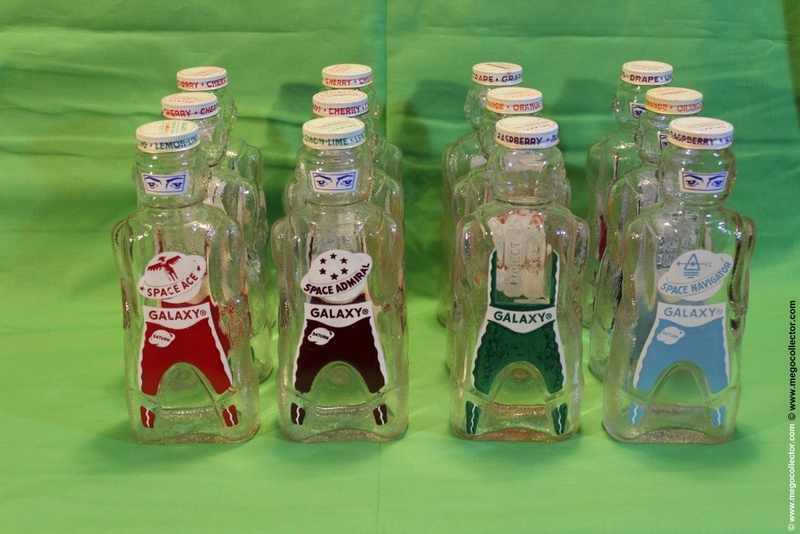 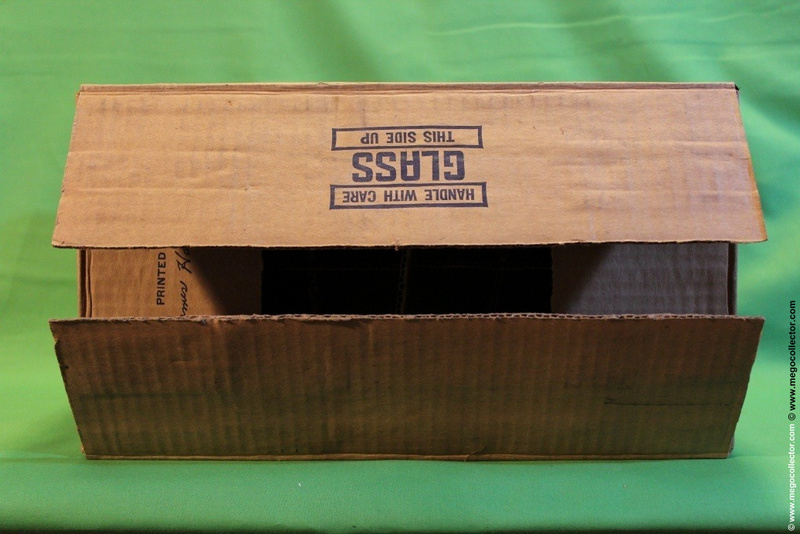 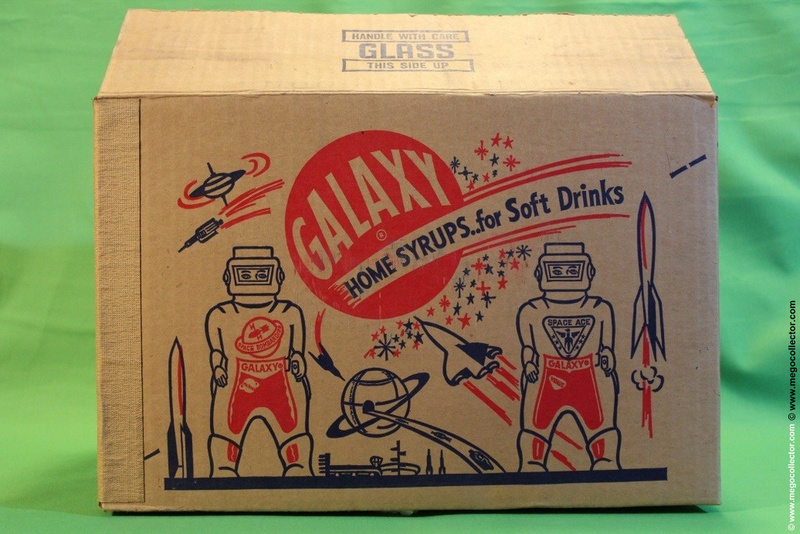 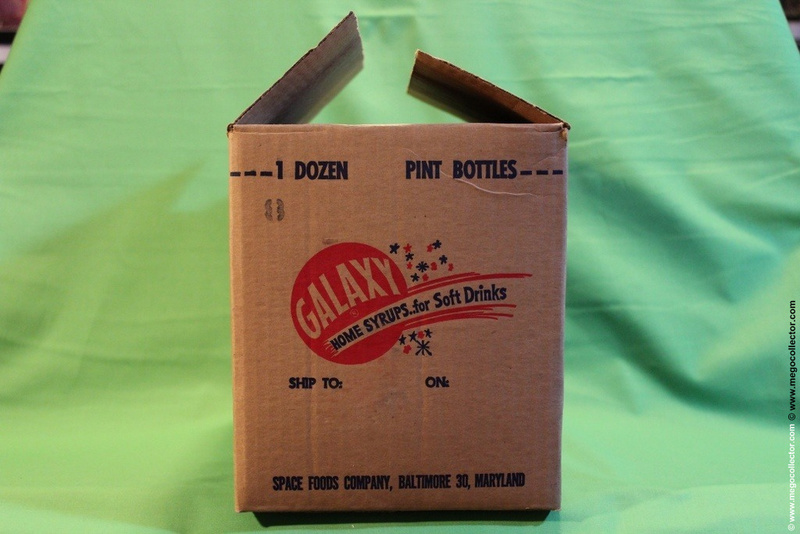 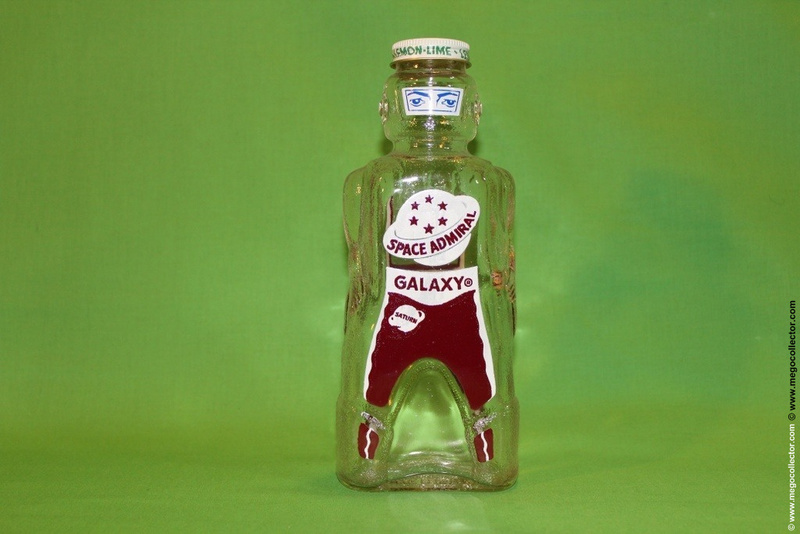 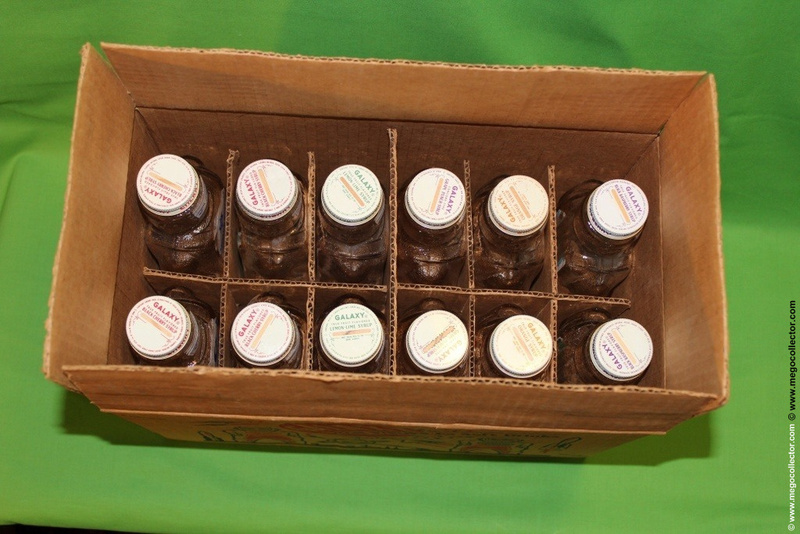 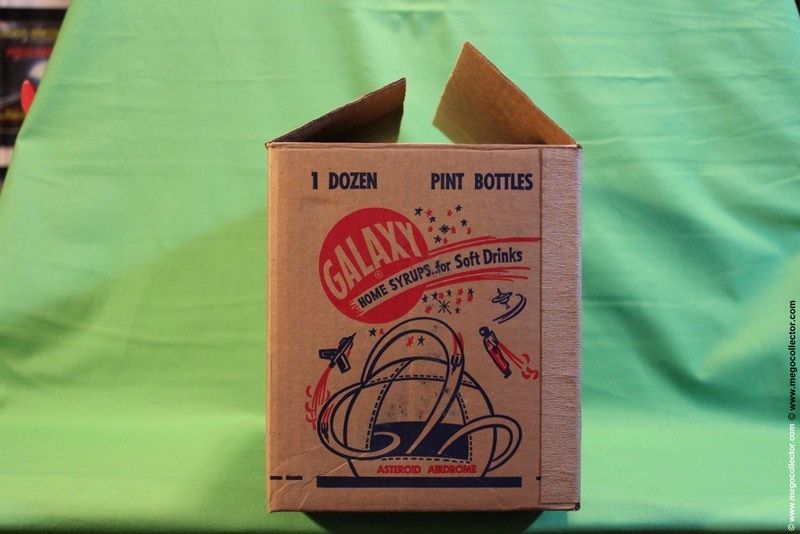 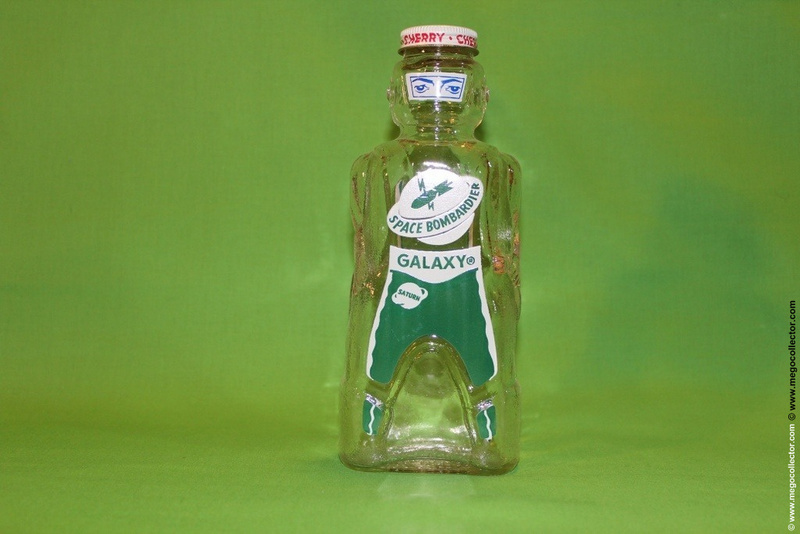 This is a case of 12 Galaxy Home Syrups for Soft Drinks. 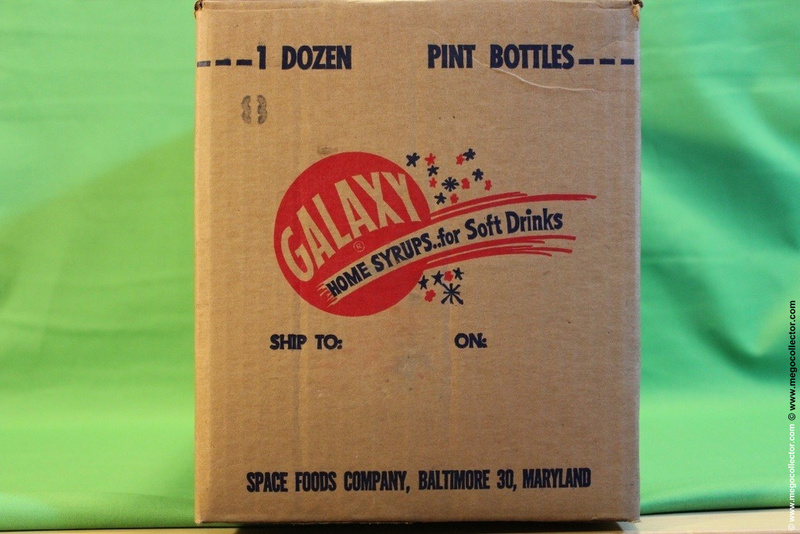 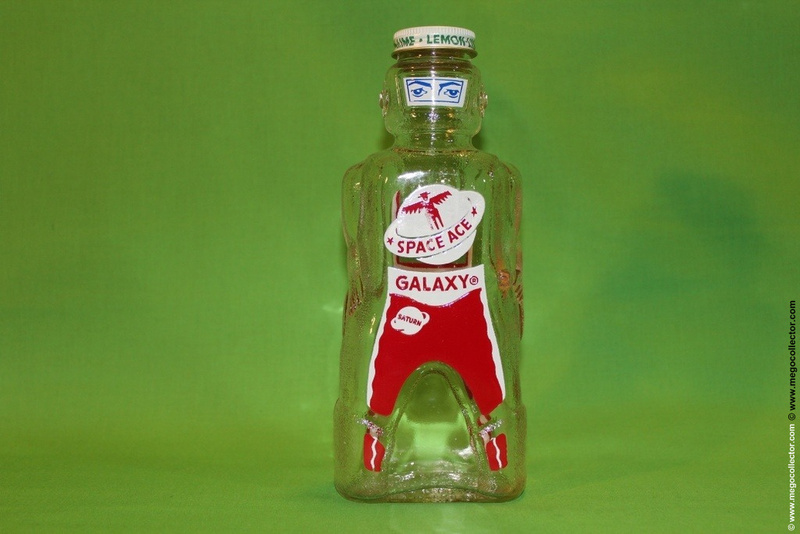 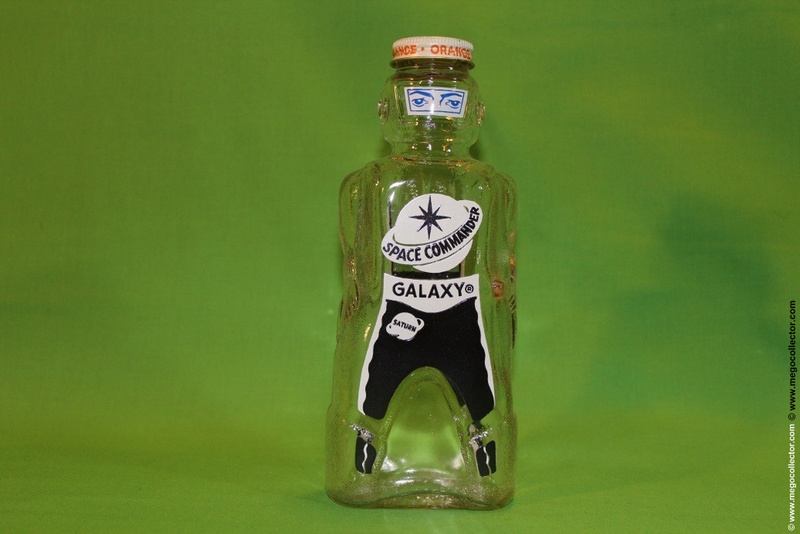 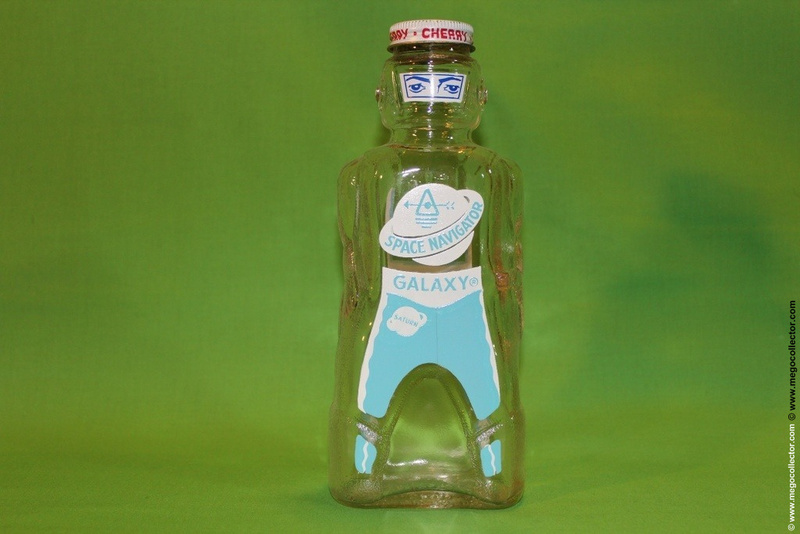 These were produced by the Space Foods Co. out of Baltimore, MD, whom declared bankrupcy in 1953. 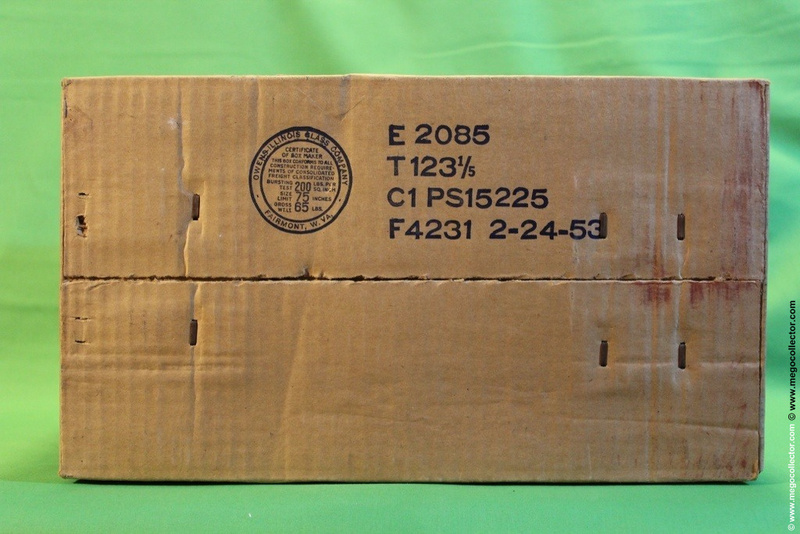 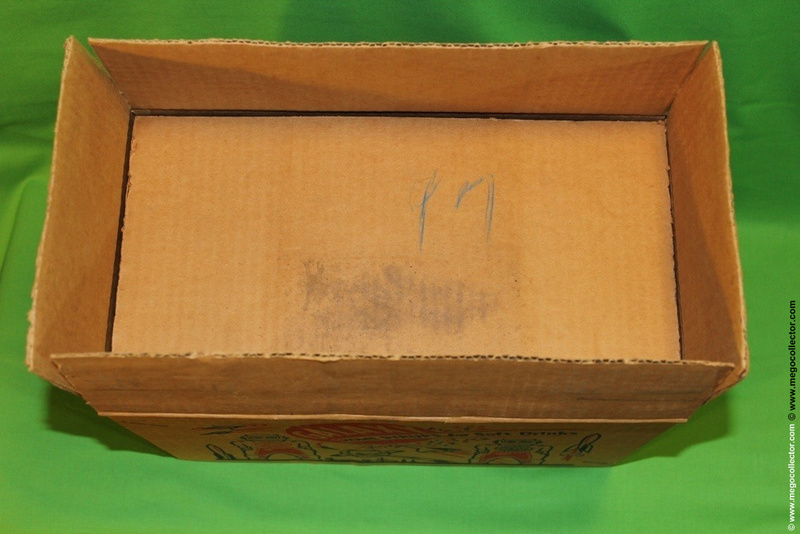 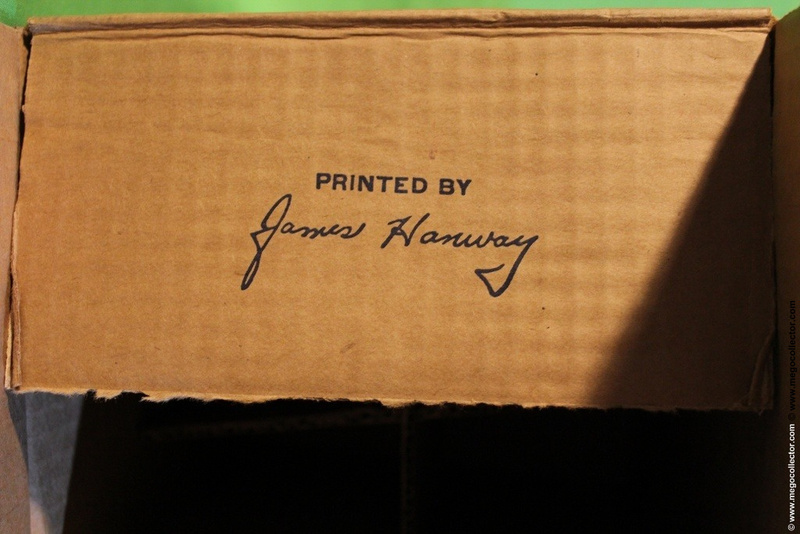 The box was printed by James Hanway. 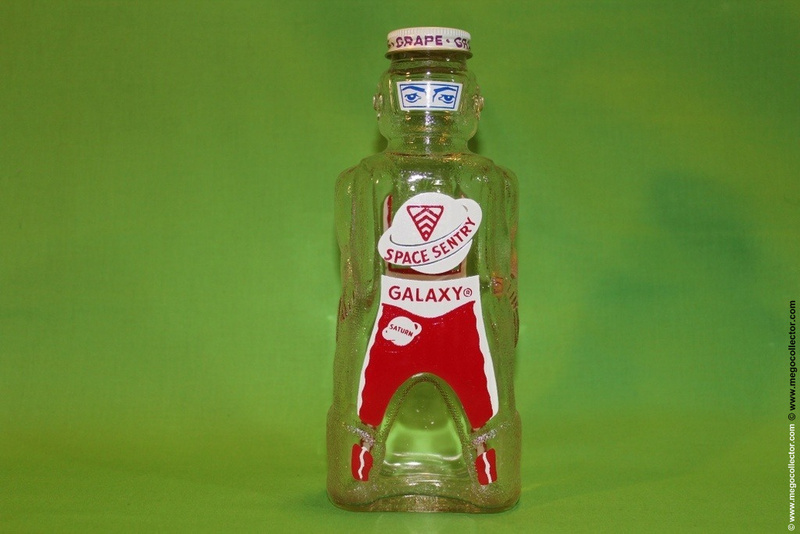 The bottles served two purposes. 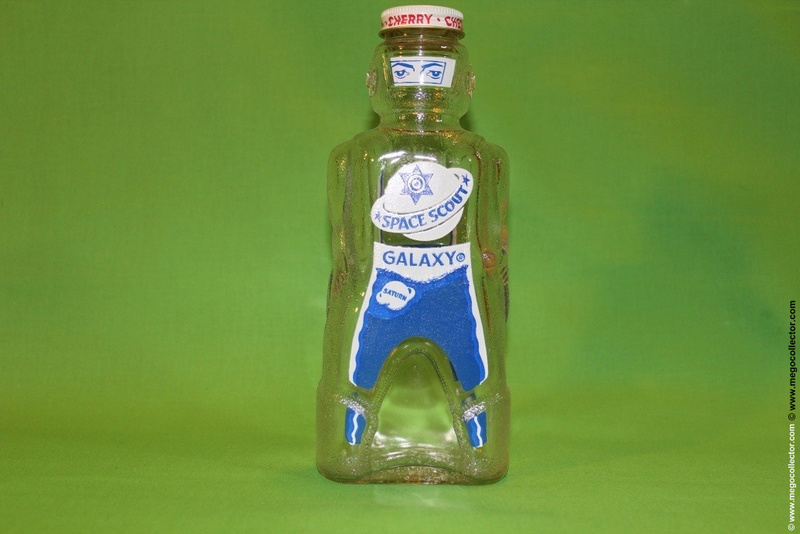 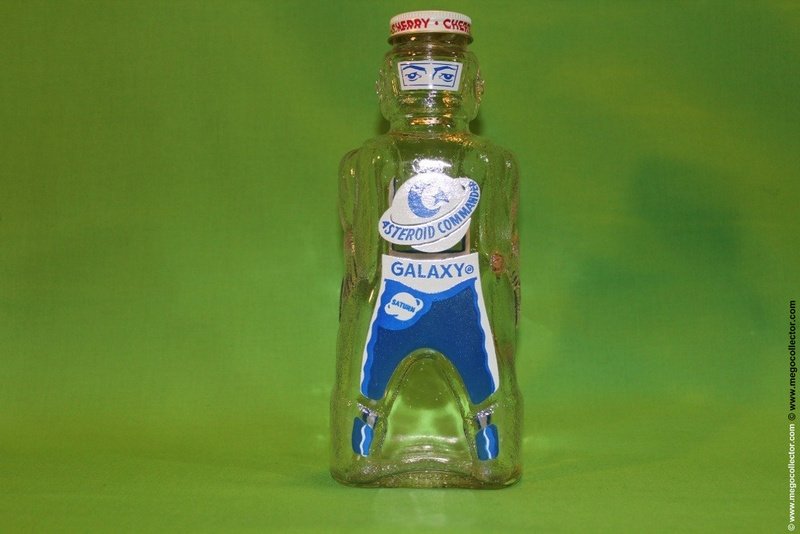 One they either were to hold or did hold a flavored syrup to be used as an additive for soft drinks. 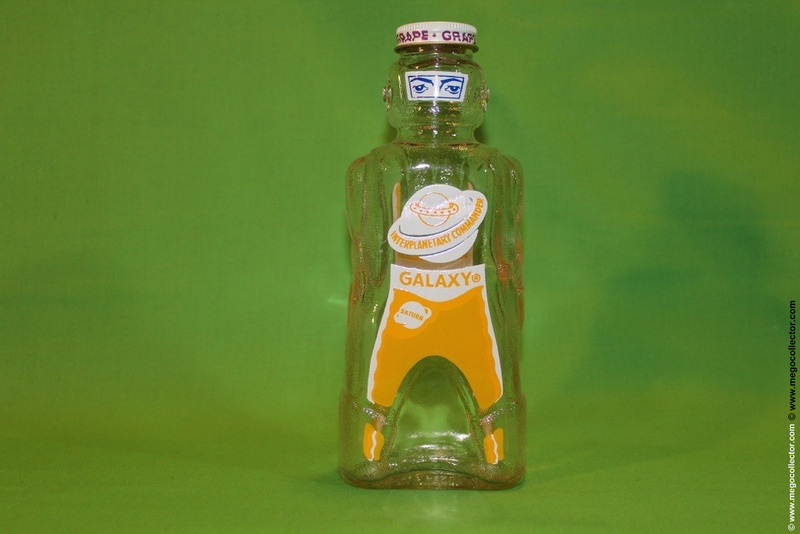 The other use is the punchout out the top of the bottle cap is designed to be used as a “piggy” bank, or in this case a “robot” bank. 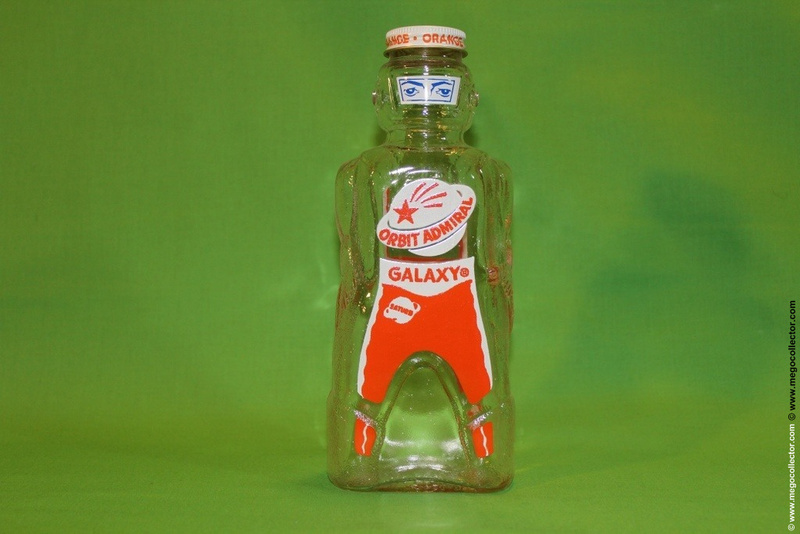 The only reason I am made aware of these is that I know of some that grew up in that era and clearly remember seeing these bottles. 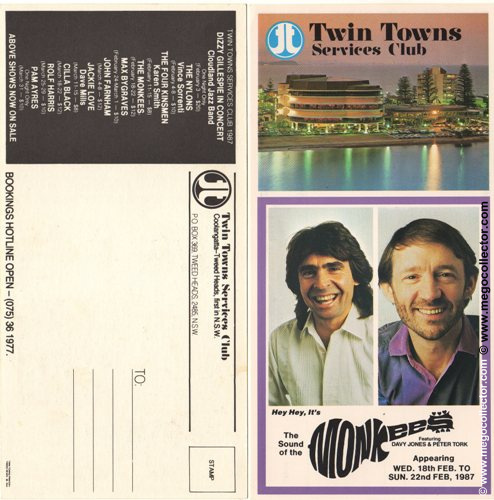 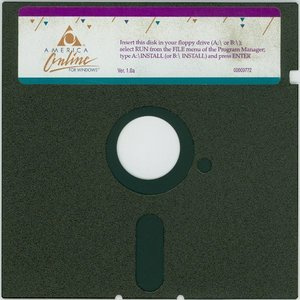 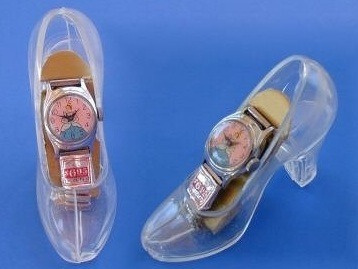 These made for fond childhood memories then and has made new ones now.